Shopping for a new Mazda MAZDA6? The 2018 Mazda 6 with its new turbo makes a convincing case for itself as a luxury sports sedan especially when outfitted in the Grand Touring Reserve trim level. The 2018 Mazda 6 is proof that there’s life beyond the mainstream. 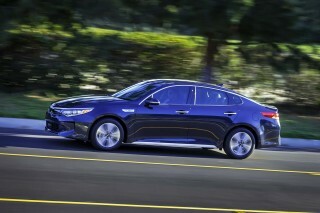 This mid-size sedan has long cut its own path, and this year it does so with gusto to match its looks. A new turbo-4 option breathes life into the stylish 6. 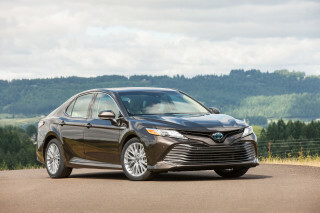 Hopefully someone takes notice since this is the ultimate under-the-radar sedan. 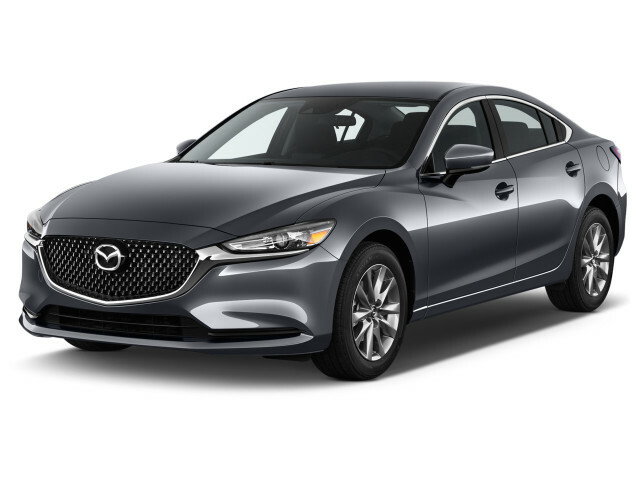 For 2018, the Mazda 6 comes standard in Sport and Touring trim levels with a carryover 2.5-liter inline-4 rated at a perfectly acceptable 187 horsepower. Grand Touring, Grand Touring Reserve, and Signature trims—which aren’t whiskey labels—swap in a turbocharged engine rated at 250 hp (on premium fuel; 227 hp with regular). Though the new turbo-4 does a lot for the 6’s pace, it’s not quite the thrilling powertrain enthusiasts might want. Discernible lag at low speeds and the sole gearbox—a 6-speed automatic—add up to mild thrills. 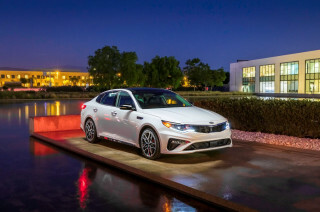 A 6-speed stick is standard on the Mazda 6 Sport, but good luck finding one on a dealer’s lot. Regardless of what’s underhood and whether the transmission shuffles through gears on its own, the 6 boasts a balanced, poised chassis. Its steering is firmer and more communicative than what’s in most mid-size sedans—a bar that’s not terribly high, if we’re honest. Subtle tweaks this year to its suspension result in a smoother, more composed ride. 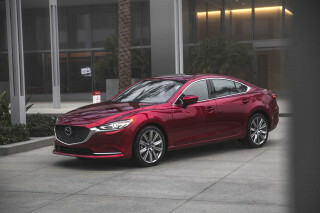 A host of other mild updates this year mark continual improvement for the 6: its redesigned seats are comfortable, if not truly luxurious, while the availability of cooled front seats and a head-up display vault Mazda’s four-door into near-luxury territory. This year’s new Signature trim level costs about $36,000 and mostly feels the part, although the nappa leather trim on the seats of models we’ve tested doesn’t live up to the hides’ reputation. Beneath its suave exterior, the 6 comes fitted with an especially high level of standard active-safety tech. 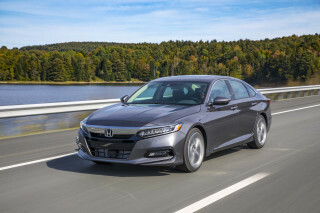 All versions feature low-speed automatic emergency braking, but Touring and higher trims upgrade that to full-speed and throw in adaptive cruise control, active lane control, lane-departure warnings, and automatic high-beams. 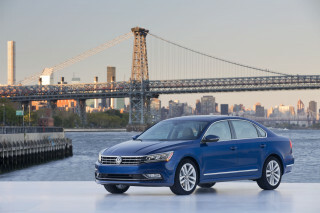 In crash-testing, the 6 has earned high marks from both federal and independent testers. The downside? It’s Mazda’s infuriating infotainment system. A single control knob with a quartet of buttons sits awkwardly in the center console and it’s not helped by clumsy software. Apple and Android compatibility were added late in the 2018 model year, but the good news is that Touring and higher trims can be retrofitted with the tech. Don’t be surprised if valets park the Mazda 6 up front—at least until supercars start showing up. 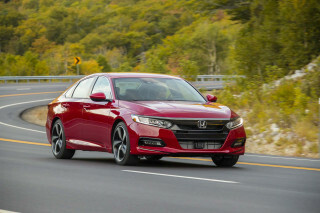 The 6 is rare among mid-size sedans in that cost-conscious buyers get the same details and a dressy enough set of 17-inch alloy wheels and LED headlights, even on the base 6 Sport trim level. Stepping up to the Touring nets 19-inch wheels that look even better. Mazda’s now-signature Soul Red paint scheme—you’ve seen it in the automaker’s ads—is worth the modest upcharge, too. Inside, the 6 impresses, albeit not as much. Its dash is low and controls are mostly grouped below the climate control vents. Perched on the dash and looking like an afterthought is an 8.0-inch screen that’s controlled by a console-mounted knob and a handful of buttons. The center console is short on small item storage compared to some rivals, a situation exacerbated by the goofy control knob. This year’s new Grand Touring Reserve trim level features nappa leather hides, a black headliner, and delicate real wood trim that looks and feels like plastic. We’d probably save the cash since the Grand Touring Reserve is nearly as plush and not quite as coal mine dark. The 2018 Mazda 6 boasts a fluid, athletic driving experience finally backed up by decent power. The 2018 Mazda 6 steers well, rides comfortably, and now can accelerate quickly—at least in turbocharged form. Sport and Touring trims come standard with a 2.5-liter inline-4 rated at 187 horsepower and 186 pound-feet of torque. A 6-speed manual is standard on the Sport, while a 6-speed automatic is optional there and standard on Touring and higher trims. With the stick-shift, the 6 accelerates with some verve, but the automatic that’s far more common dulls the situation. That’s not to say that the Mazda 6 is slow—it’s just that it’s adequate. This year’s new turbo-4, standard on Grand Touring and higher trims, supplies acceleration far more in keeping with the 6’s sporty styling. Running on regular unleaded, the engine is rated at 227 hp and 310 lb-ft. Opt for premium gasoline and the horsepower rating rises to 250 hp. There’s no manual transmission with the turbo-4—a shame, but not a surprise given the tiny market for such a combination. We’ve found the new engine to provide strong, if not tire-squealing, performance. Aside from a hint of lag at initial throttle tip-in, the engine builds power quickly and provides effortless passing. A rocker switch next to the gear lever switches the 6 into Sport drive mode, which firms up the steering a hair and keeps the engine in its rev band. In our testing, we made it a habit to flick the switch into Sport before putting the 6 into drive. We’ve not driven a 6 Sport with its standard 17-inch wheels, but the 19s on Touring and higher trims provide a comfortable, composed ride that doesn’t crash over big bumps despite the tiny sidewalls. Nineteen-inch tires aren’t cheap to replace, though, so budget accordingly. Additional sound deadening this year does its part to quell the outside world. 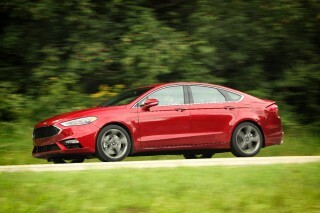 Only a faint din of tire roar over coarse pavement spoiled the experience in our test drives. The 2018 Mazda 6 has a roomy interior that’s well-made for its price point. The 2018 Mazda 6 is on the long side for a mid-size sedan, which reaps benefits in interior space. 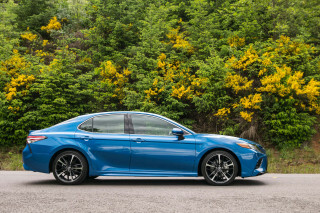 Its well-finished cabin impresses at its price point, although we’re not sure this year’s new Signature trim level lives up to the hype promised by buzz-worthy nappa leather and real wood trim. Mazda says it reshaped the 6’s seats for 2018, but we’re not totally sure why they bothered. It’s not that the seats—cloth in Sport trims, synthetic leather in Touring and Grand Touring, leather in Grand Touring Reserve, and softer leather in Signature—are uncomfortable, it’s that they’re unexceptional. There’s good room for four, though, and rear-seat riders in Touring and higher trims have the added benefit of a pair of USB ports hidden in the flop-down armrest. A wide trunk opening reveals 14.7 cubic-feet of cargo space, hardly a noteworthy figure. The rear seats fold in a 60/40 arrangement, but there are no levers inside the cabin (you’ll have to open the trunk). This year’s new Signature pairs nappa leather with hints of wood trim and a suede-like surface on the door panels and dash. It all reads better than it looks and feels. Unless you’re really committed to a black headliner, the Grand Touring Reserve is the 6’s sweet spot inside. A good set of safety gear and terrific crash-test results mean the Mazda 6 is one of the safest sedans on the market. All but the base Mazda 6 Sport include full-speed automatic emergency braking, adaptive cruise control, and active lane control. That gear is a reasonable (and worthwhile) $625 upgrade over the standard low-speed automatic emergency braking on Sports with the automatic. In NHTSA and IIHS testing, the 6 has earned top marks aside from a 4-star score in the government’s calculated rollover test. However, the IIHS is holding off its Top Safety Pick award until it gets its hands on a 2018 6 to evaluate its standard LED headlights. Subpar infotainment aside, the 2018 Mazda 6 offers a good value for the money. Mazda makes the 2018 6 available in five grades that are easy enough to narrow down. Want a manual transmission? You’re stuck with the roughly $23,000 6 Sport, which comes well-equipped with 17-inch alloy wheels, dual-zone automatic climate control, a 6-speaker audio system with Bluetooth and a USB input, manual cloth seats, low-speed automatic emergency braking, and an 8.0-inch touchscreen for infotainment. 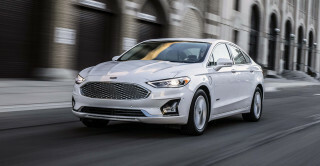 Automatic versions of the 6 Sport can be further outfitted with full-speed automatic emergency braking, adaptive cruise control, and active lane control for a reasonable $625. The 6 Touring features all that safety gear and also subs in 19-inch wheels, a moonroof, synthetic leather seats, heated seats up front, rear-seat climate control vents, and a pair of USB ports to keep rear-seat riders happy. It’s an automatic-only affair, however. That’s the end of the line for non-turbo 6s. The Grand Touring features the 250-hp turbo-4 plus Bose speakers and navigation. If it’s your money—or ours, for that matter—we’d pop for the Grand Touring Reserve with its real leather seats, cooled front seats, memory driver’s seat, and heated steering wheel. For less than $33,000, it’s a cut-rate Audi A4 that doesn’t feel cut-rate. An extra $3,000 buys the new Signature trim level with its nappa seats, quirky Ultrasuede trim, black headliner, and a 7.0-inch TFT instrument cluster that adds little to the experience. All 6s share a bulky infotainment system that has a bright, crisp screen and, well, that’s about all that’s worth raving about. Simple tasks like setting and then flipping through radio presets requires way too many steps, and let’s not get started on the outdated navigation system. Late in the 2018 model year, Mazda made Apple CarPlay and Android Auto standard fare for Touring and higher trims. Bought one before? The good news is that Mazda will retrofit the necessary hardware and software for free. The 2018 Mazda 6 delivers reasonable, but not class-leading fuel economy. Manual transmission versions of the 2018 6 are thirstier: 24/33/27 mpg. Not surprisingly, the turbo-4 is the lineup’s guzzler at 23/31/26 mpg. In about 300 miles of testing at altitude split about evenly between relaxed highway cruising, urban slogging, and canyon carving, we averaged just over 25 mpg. Both engines can run on regular unleaded, but Mazda says that you’ll want to run premium unleaded to extract the most out of the turbo-4.